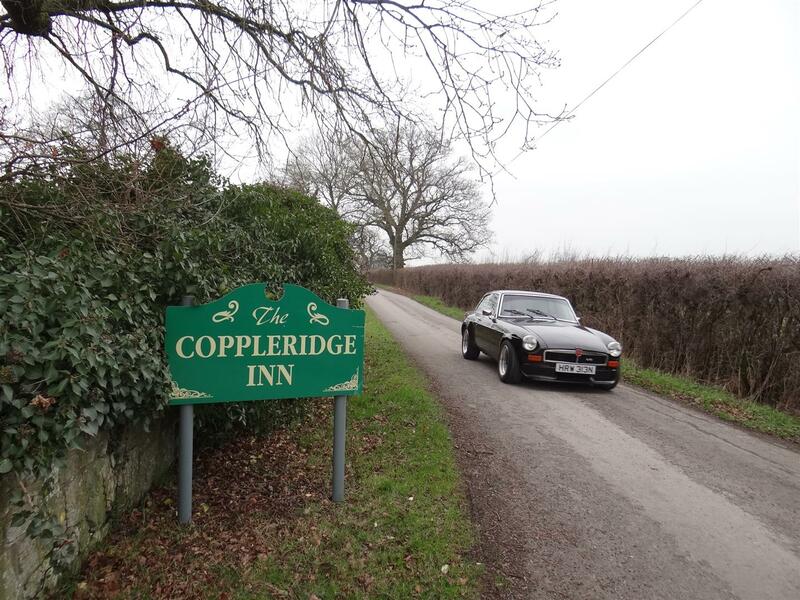 39 cars set off from the Hamworthy club for a 33 mile through North Dorset to arrive at the Coppleridge Inn at Motcombe for lunch where as excellent carvery meal was provided for us. After lunch the return journey (again 33 miles) ended at Pamphill Dairy where a number of people stopped for afternoon tea. Dave Bailey and George Parrott again found an interesting route for us and I take this opportunity to thank them for their planning. George Parrott leaving for the run home.